If bringing a custom touch to your volume controls has been on your mind, you may want to check out Noyze Volume Panel. With Noyze, which is basically an Xposed module made available with no root, free to download on Google Play, users can set a new place to control their volume, instead of the regular pop-up panel you would see on most Android devices. 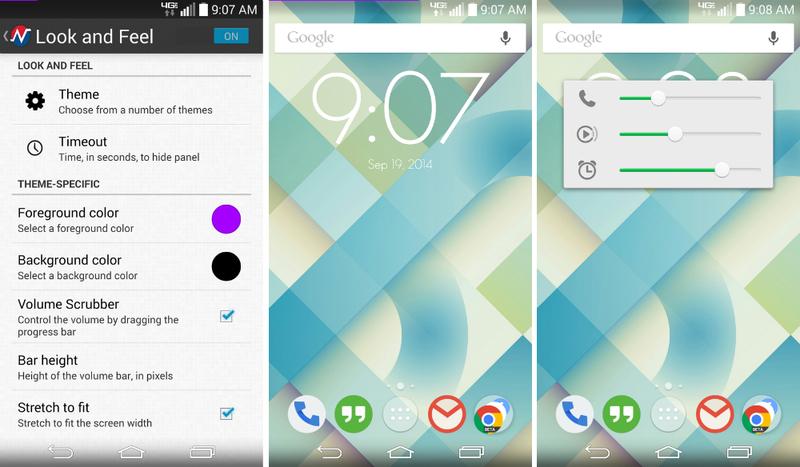 Once enabled, there are a few custom themes to choose from, which include sliders on the top of your notification bar (pictured above), as well as floating panels that feature multiple sound controls. Heck, you can even choose to make it look like the ringer setting you would find on an iOS device. Not only can you change a theme, but you can also change the color of the sliders. With an IAP, users are given additional access to even more settings and themes. As mentioned, the app is free to download, so if you enjoy tinkering with the look and feel of your Android device, feel free to give it a try.